WATERCOLOR PAINTING, AN INTERESTING JOURNEY: Watercolor…Finally an update! Sorry dear friends…it has been awhile since I have updated this Blog. Life and illness can get in the way of best laid plans, but enough of that. I believe in this economic downturn it has been and continues to be a good time for me to work on improving my techniques. After all, art is a life long study. I remember reading that an artist’s studio is also a place to study as well as paint. Though commissions and art sales have been slow, like all of you, I’m waiting for the economy to pick back up. 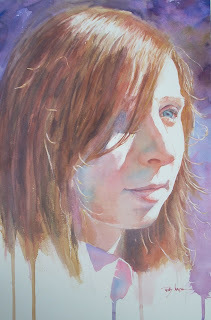 My watercolor portrait workshops have been sucessful and I have received a lot of positive feed back from the students. WOW! 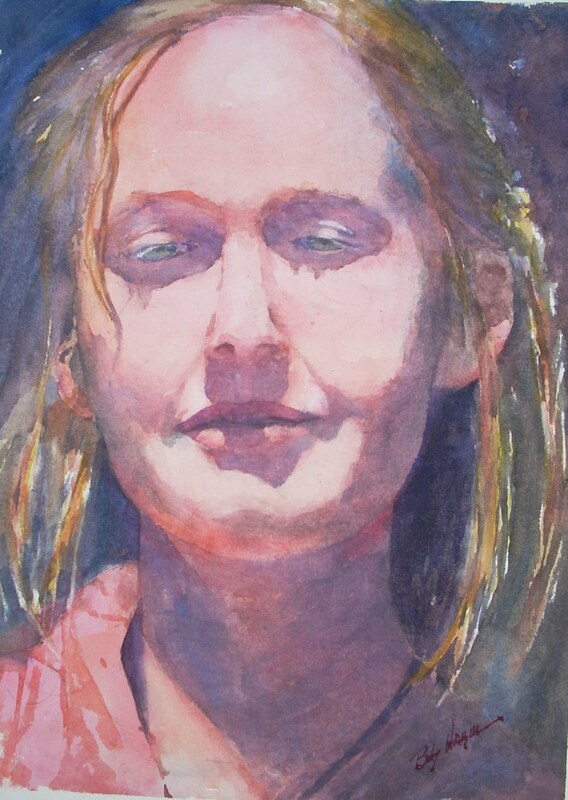 Your portrait work is wonderful!! I'm glad I stumbled upon your blog! Bob, your portraits are wonderful! I am just a beginner, but I hope any time soon I will risk myself painting a portrait, meanwhile I just devote my efforts to paint horses. And last but not less, many thanks to show your techniques. Absolutely fantastic! good work!You show that less is more and that it is always best to suggest things rather than depict them with too much details. Very inspiring! Thanks for sharing.